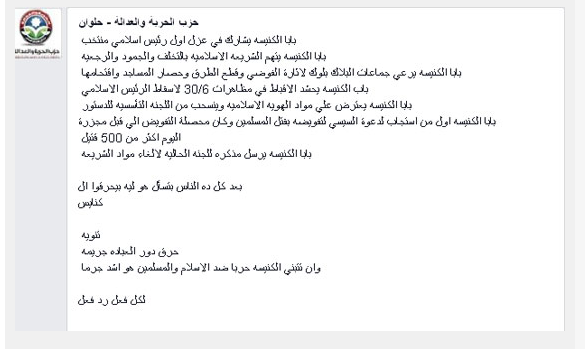 This post was published on 14/8/2013. 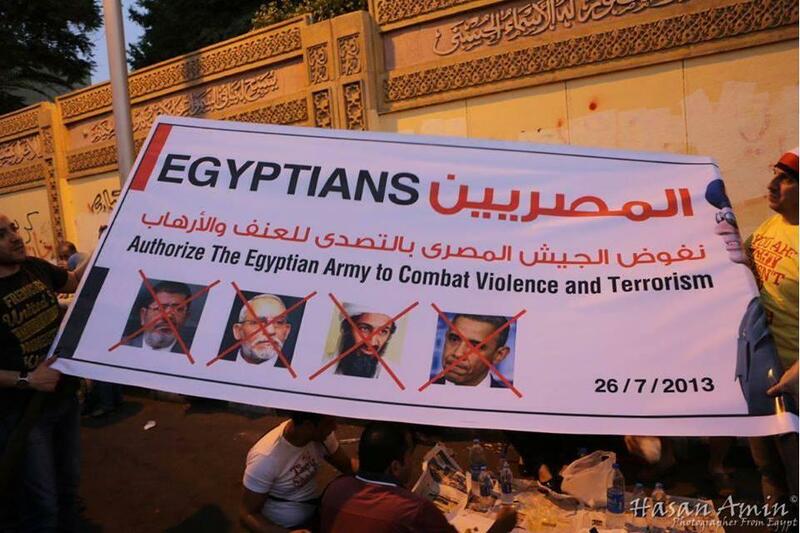 And since the memorial of MB Rabaa armed sit-in is coming soon on 14/8/2017, I would like to tell whoever is reading this post, to know that Muslim Brotherhood were never victims as they claim. 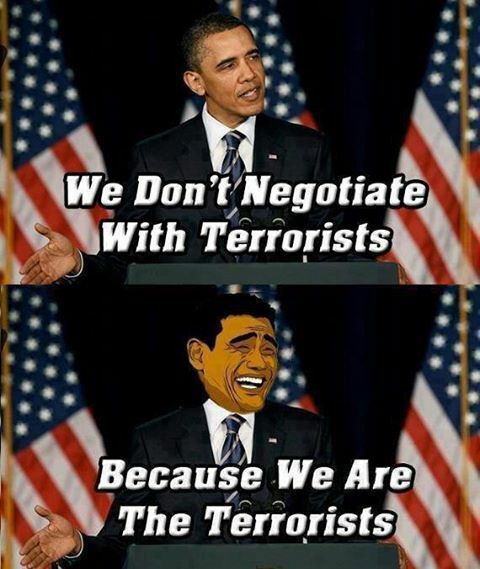 They are as savages and murderers as ISIS organization is….as a matter of fact, there is a link between ISIS and Muslim Brotherhood. Muslim Brotherhood just have different tactics in relation to terrorism, they are not ready yet to show their ugly face in all foreign countries they live in, but when they are ready, they will show it, just like they did in Egypt. 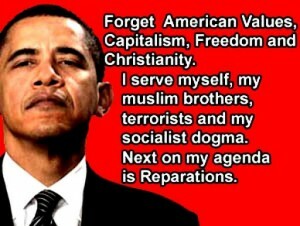 I ask all citizens who live in USA and Europe, search for Muslim Brotherhood activities in your countries. Do this homework very well and search the internet and believe me you will be shocked when you are going to find out that they didn’t move to your country to live and let others live, but to invade you from the inside when the right time comes. 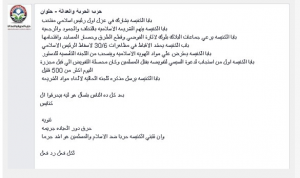 MB are spreading in European countries like a cancer, check their schools, institutions, mosques, communities, areas where they live and all their activities, and you will be able to find it what they are really up to. At this defining moment in The Egyptian History, we say to the entire world like the Usa once said, “You are either with us or with Terrorism”. All videos in this article condemn the USA and their allies and all those countries medias who say nothing about Egypt but big fat lies, more than it condemns the Brotherhood Militias, because we do not blame brotherhood for being murderers and killers (this we have realized long time ago) but we condemn the world who are supporting such terrorists! You know what the USA reaction was today? they said USA Condemn Egypt for announcing The state of Emergency! Of course they did not say anything about how shocked and surprisingly they were because they just realized that they are supporting a terrorists organization! On the 14th of August 2013, The Egyptians Authorities with the presence of Human Rights civil organizations and the press as eye witnesses, started at 7 O’clock in the morning to give warnings to Pro Morsi to leave Rabaa and Alnahda Squares and go home safely and confirmed to those who want to leave the squares, the security forces won’t trace any of them, as long as there is no warning arrest against them and they are not wanted for justice. 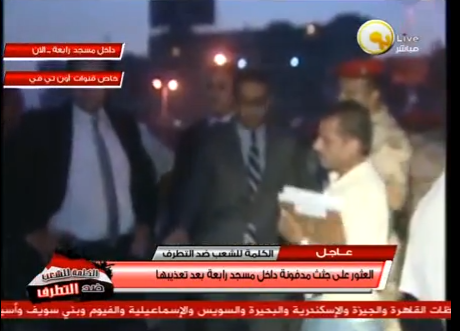 Security forces escorted MB supporters to the way out of the squares. 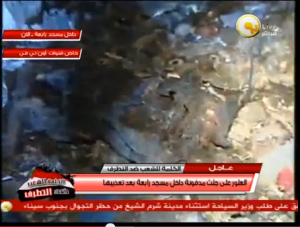 Some did comply to the warning and they left safely, others who were heavily armed started to fire at the police forces and randomly at civilians, burned private properties, and Brotherhood snipers were seeing on the top of the buildings roofs using machine Guns and Molotov, as shown in the videos below. At the same minute the security forces were clearing Rabaa and Alnahda squares, the Muslim Brotherhood went right away with their plan B, in attacking all areas in Egypt, private properties and especially churches, Christians and civilians. See “videos below”. 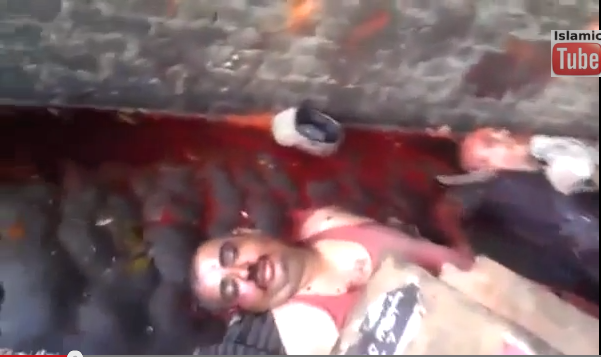 The series of slaughtering Christians and burning their churches in Egypt started right after the Brotherhood won the Egyptian Parliament elections and the attacks and the killing against Christians were so intensive after Morsi became a President and of course starting from the 30th of June 2013, the Brotherhood massacres against Christians was going further intensive, because the brotherhood not only want that Christians vanish from the Egyptian land, but also they think that those intensive attacks will push Christians to ask for Foreign Military interference in Egypt for protection. Christians are aware of this dirty conspiracy and they know very well that the West does n’t care for anything but their own interests, especially that the world interests like USA and allies are attached to Brotherhood terrorists in the Arab Region. No country at all in the world condemned any massacres against Christians, the world only condemn the Egyptian Government and authorities for holding brotherhood criminals under trials because they are charged of massacres against Egyptian Civilians, the world community is supporting TERRORISTS RIGHTS! 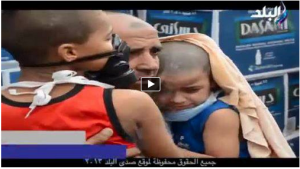 The security Police forces used tear gas against MB armed militias. 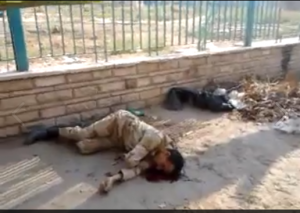 Armed Militias used machine guns with 600 bullets shooting per minute as it is shown in the following videos, different kinds of weapons including machine guns, different ammunition, bombs, Molotov and other weapons like knives and swords. The following videos show what kind of terrorists and criminals the USA and their media and press are supporting till this minute against Egyptian civilians and military and police forces. Before you watch the following Videos, Just remember that on 9/11, USA were under terror attacks and USA and Nato invaded our countries under the claim of fighting terror in the Arab World, this fake invasion to Iraq for instance, killed more than 100,000 Iraqis civilians under the claim of freedom and democracy and Iraq is paying a very precious price from the blood of their children and civilians till this minute, thanks to USA and their Allies who invaded our countries and let the terrorists lived and ruled our countries. Today Egypt is fighting terrorism inside the Egyptian territories, we are not invading any other countries like superior countries did, if you are fine with that, you are most welcome; If you are not, don not interfere in our countries affairs, because we are not welcoming or supporting those who support the murderers of our children! 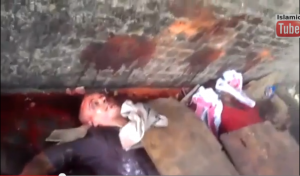 Some of the following videos, show more than 20 tortured killed bodies of Egyptian civilians who were kidnapped by Brotherhood, and the security forces found them covered and buried under the Rabaa Stage in the rabaa square! The brotherhood criminals burned the Rabaa mosque because today the 15th of August 2013, the military in the attendance of the press and Human organizations civil rights and the DA’S authorities found more than 13 bodies in a MASS GRAVE in Rabaa Mosque in one of the mosques rooms, the preliminary checking showed that those bodies died more than 3 days ago. 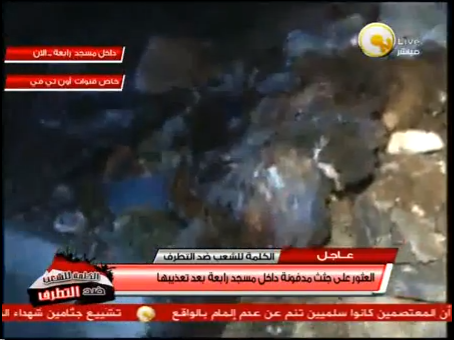 Video of Mass graves under Rabba Stage and Rabaa Mosque (where the brotherhood were camping and demonstrating for more than one month) some bodies were not in one shape, you see a head separated from the body and bodies pieces, preliminary examination to the body, shown bodies got killed from 5 to 10 days ago and some are in pieces Bodies also found in a mass grave in the mosque Garden. The execution room in Rabaa Hospital field, the following video show the execution room and the tools of torturing, where the brotherhood were torturing kidnapped civilians and then hanged them. Eye witnesses on MB crimes inside the square, showed the concerned authorities where victims were tortured and it is where they saw victims hanged by brotherhood Militia. 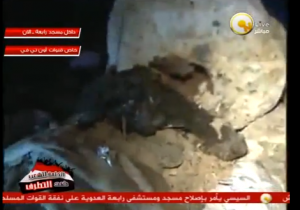 The following Videos show different ammunition and weapons in Alnahda and in Rabaa squares, were hidden in Coffins boxes, used by the Muslim Brotherhood and Pro Morsi in Alnahda and Rabaa squares, machine guns with 600 bullets shooting per minute, and they also found Egyptian Military uniforms and also Free Syrian military uniforms and maps for vital and military buildings and lists of military leaders targeted for assassinations and Church burning targets and Christians killing and assaults instructions. 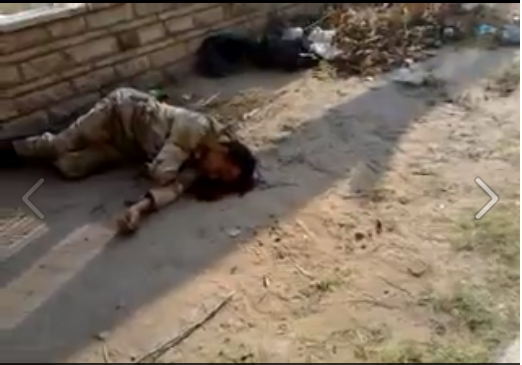 The following Video showing Brotherhood Militia shooting with machine guns at civilians and at the police forces in Mohandessin area, Cairo. Video showing Morsi’s supporters and Brotherhood attacking police car and throwing it from the bridge with 5 soldiers alive in the car, then they mutilated their bodies. Brotherhood leaders gave the green light to their Militias and supporters to prisons break all over the country and release prisoners and then burn the police stations, exactly like they did in the 25th of January 2011, and they announced this on the Rabaa stage the morning of the sit-in disengagement. Muslim Brothers leaders assured their supporters that this is the end of the ministry of interior and they will make sure that the Egyptian Police is really going to be destroyed for good this time. 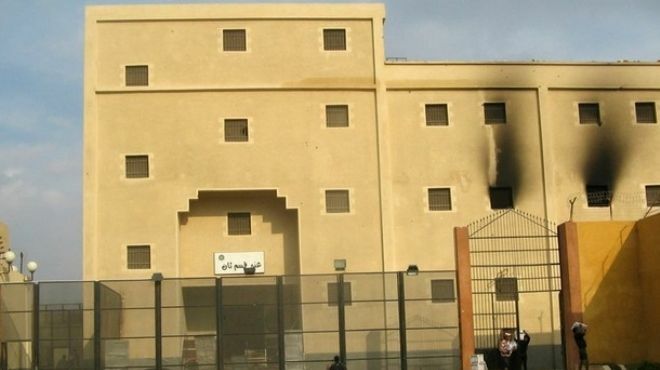 Brotherhood tried to attack Abu Zaabal Prison and release prisoners and burn it, but the security police forces managed to save it from the brotherhood terror attacks. 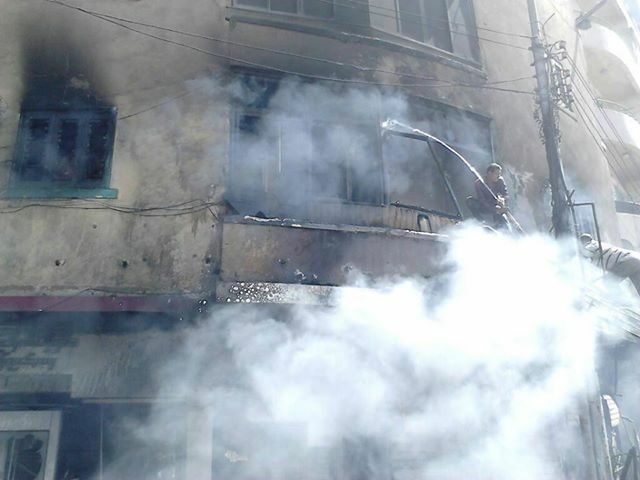 In Behera City, Brotherhood Militias attacked Hosh Eissa Police station and tried to release prisoners and burned the police station, 3 people got killed and 45 got injured and 3 injured are in a very critical condition. The security forces and the Egyptian people defended the police station, but Brotherhood Militia set it on fire. In Fayoum City, Brotherhood Militia attacked a center belongs the police security and stole weapons and killed 2 soldiers. 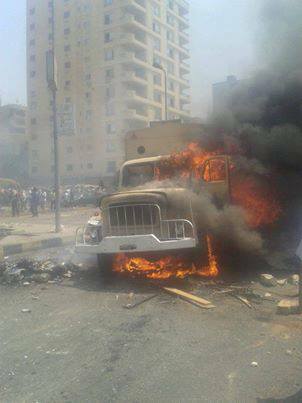 Military Car got burned by Brotherhood supporters and Militias in Nasr City – Rabaa Square. 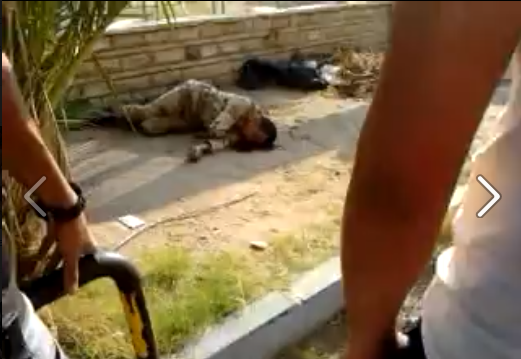 An eye witness took the following pictures from his balcony in Cairo, said that a blue color and black Verna cars stopped and one of the cars throw a military soldier on the ground, and he was already shot in the head. 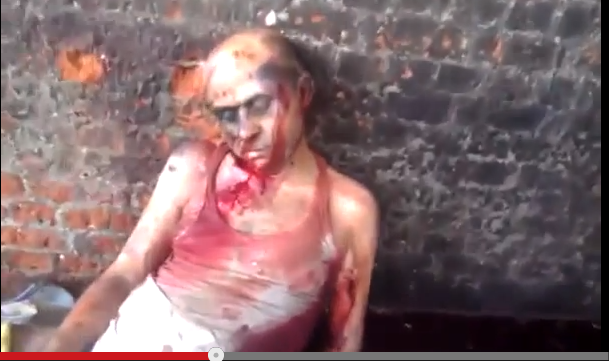 General Mohammed Abbas Gabr the Chief of Kerdassa police station, who were tortured and slaughtered by Brotherhood savages and Thugs. When the General was dying, he asked them for some water before dying, so they finished him by slaughtering him. The only survived victim (police individual) form Kerdassa Police station Massacre is in the hospital seriously injured and told what happened in details. The Eye witness said:” We were located inside the police station, and we had the police cars and some central police soldiers securing the police stations, then we saw about 3000 thousands Brotherhood members and their supporters coming to the police stations and start firing at the police station with heavy weapons, Molotov and burned some tires for camouflage and cover during the break into the police station. We had orders not to use live bullets and do all our utmost to protect the police station. I watched my police colleagues, getting injured with live bullets, falling down, one after another, and others got killed. Then, they managed to break into the police station, after they fired two RBJ bombs. When they got in the police station they were in control. 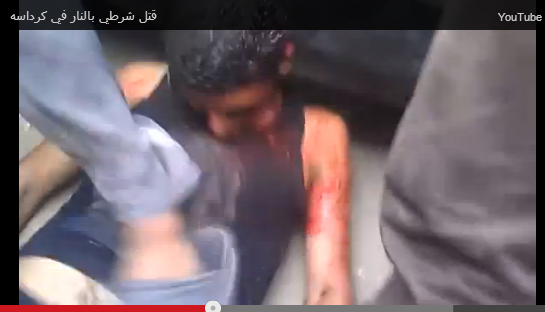 They chased me and caught me and started to hit me and tortured me. 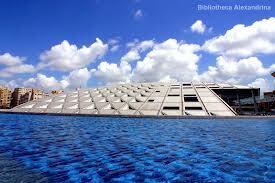 I could n’t see in front of me and fainted. When they were in, things got totally out of control, all our colleagues outside and inside the police station got killed. Video showing Brotherhood Militia celebrating after killing a police soldier in the street, then of course as usual, they were celebrating and partying the torturing of his body, torturing him even after he was dead. 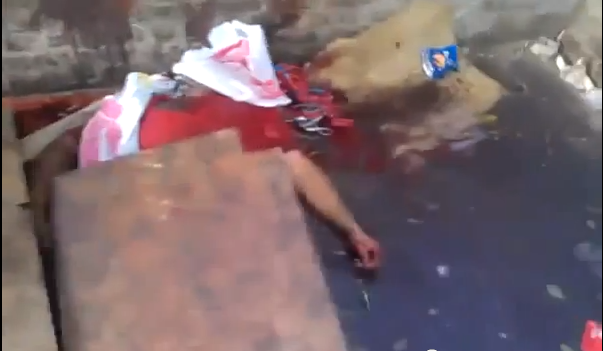 Video of Brotherhood shooting from a Mobil Gas station at the police forces in Rabaa square. 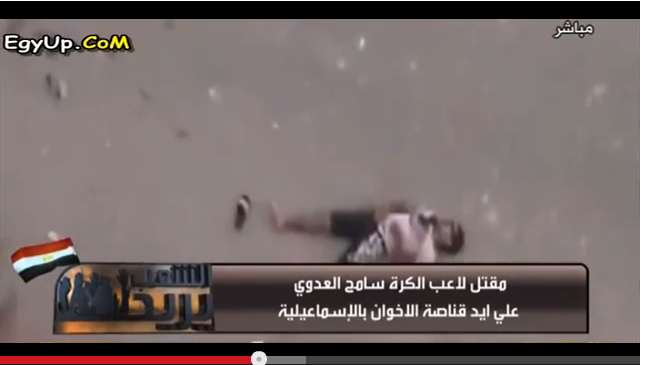 Screenshot dated the 15th of August 2013, Brotherhood killed a football player in Ismailia City, his name is Sameh Aladawy, football player in Ismailia Electricity Company, brotherhood criminals shot him dead with 3 bullets in the head, chest and left foot. 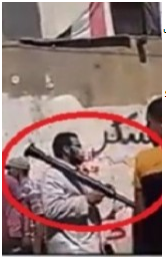 The guy was standing in the street, when all of a sudden the Brotherhood thugs reached the area and opened fire with machine guns randomly on civilians. People were not able to save him because he was instantly dead, and they were not even able to move him in a car to take him to the hospital because of the intense random shooting. 43 Police Officers and soldiers got killed today and 212 from Police forces got injured by the Brotherhood Militias, announced today by the minister of interior and the Egyptian Health Ministry. In Qena City, Brotherhood attempted to kidnap the minister of Interior Brother, but the security forces managed to arrest two of the kidnappers. 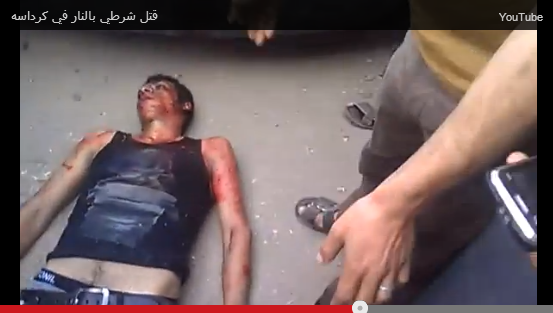 Video showing Brotherhood Miltia shooting live bullets from a Gas Station at the police forces who were firing tear gas! 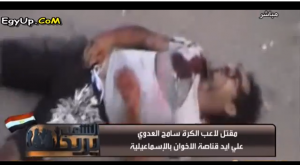 The following videos show Brotherhood demonstrators shooting at the military and police forces the minute they started to disengage the Sit-In in Rabaa and Al-Nahda squares – The first victim who got shot in the Rabaa square, was the police officer who called MB and their supporters to leave the square from the safe exists, so the response of MB was to shoot him instantly. 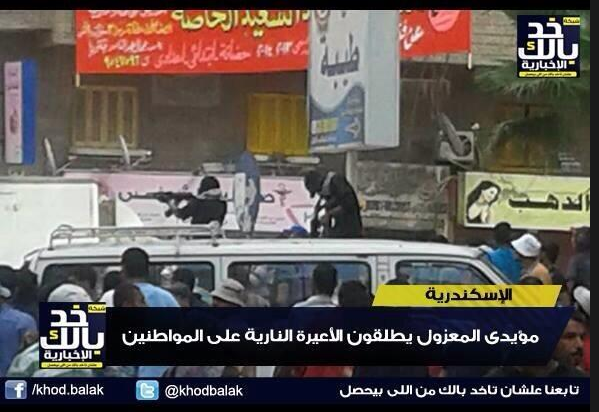 Watch the brotherhood supporters shooting at police forces. 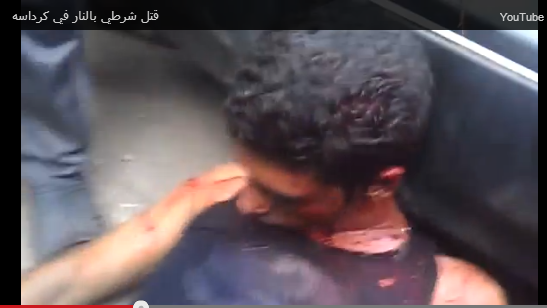 And Police individuals getting shot by MB armed demonstrators and supporters. Also a video showing police forces assuring children and parents on their safety and a police officer talking to a parent of a child, telling him why are you risking the life of your own child, bringing him here in the middle of violence and shooting and this Sit-In full of weapons? The last videos is showing Muslim Brotherhood and their supporters using guns and machine guns and shooting at the police and army forces during the disengagement of Al-nahda square on 14/8/2013. 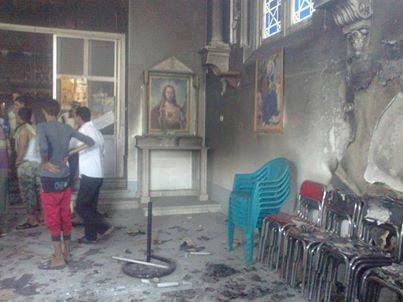 This photo showing the Ancient Greek Church damaged and burned by Brotherhood in Suez City. Brotherhood Militia burned 3 churches in Almenia City in upper Egypt. The first one they burned is the Condolences hall belongs to dir Almawas Church; The second church burned is Jesus father church; The third one is Khalas Alnofous. The result from burning churches and also attacking prisons are 3 police officers killed by Mulsim Brotherhood machine guns and 14 police soldiers got injured. 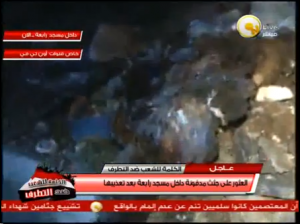 Muslim Brotherhood attacked The New Meriam Church in Fayoum City, in Alnazla village and removed the crosses from it and destroyed the contents of the church and damaged the water pipes in the church and then burned private cars which belongs to villagers. 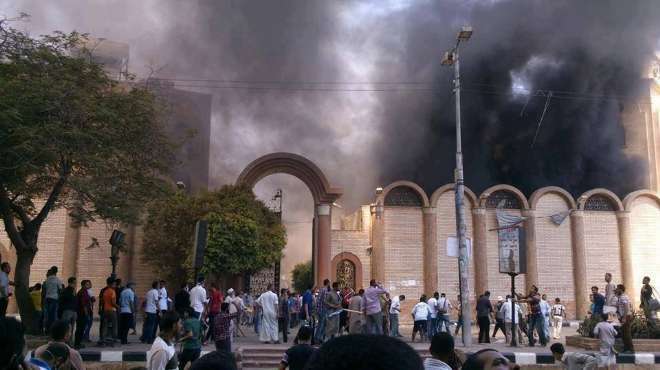 In Assuit City in upper Egypt, the brotherhood Militia burned the Saint Teresa Church. 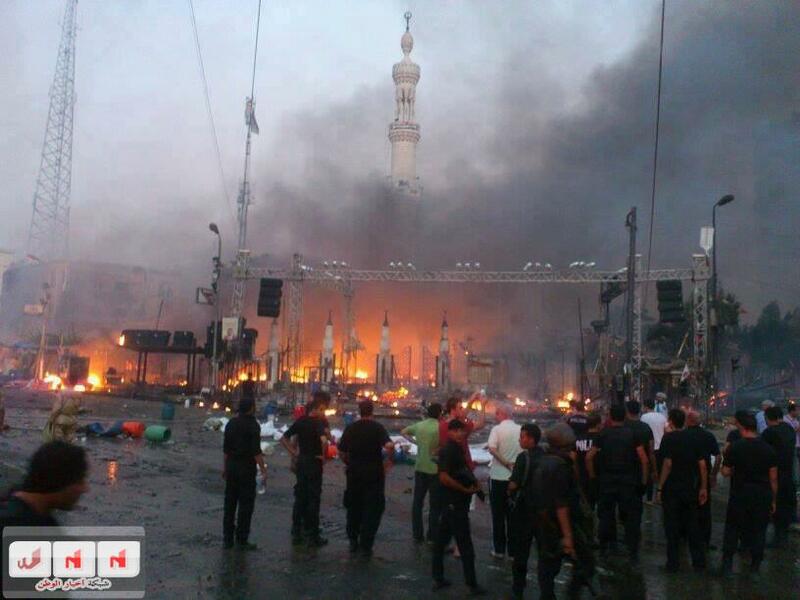 No one was injured because the church got every body out before the Brotherhood Attacks. 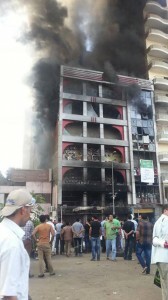 And Brotherhood burned also Mary Girgis Church in Assiut City and burned more than private 5 cars and also damaged and destroyed many shops in the 23rd of July street in down town Assiut City. Brotherhood also attacked the archbishopric of Khoussia city and burned 15 of Christians homes. in Assiut city – upper Egypt. Brotherhood set a fire in one of the Building in Sohag City, Egypt – just because there were Christians living there. 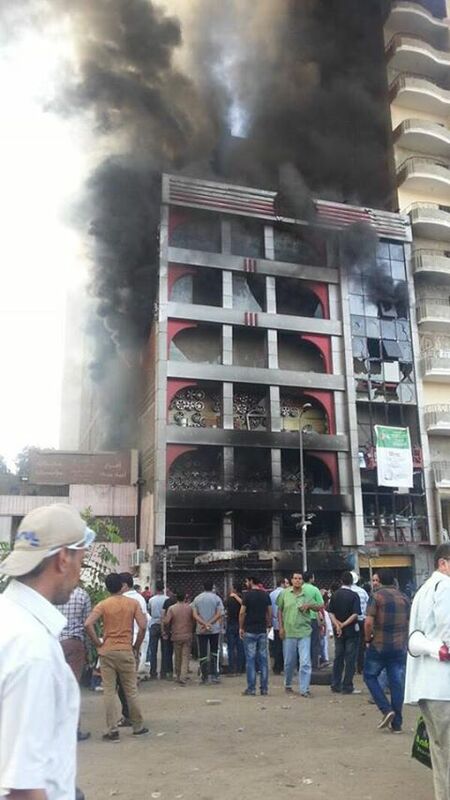 Following Image showing Muslim Brotherhood set a fire in a building with people inside the building, in Gisr El-Suez Cairo, again because of some Christians living there. 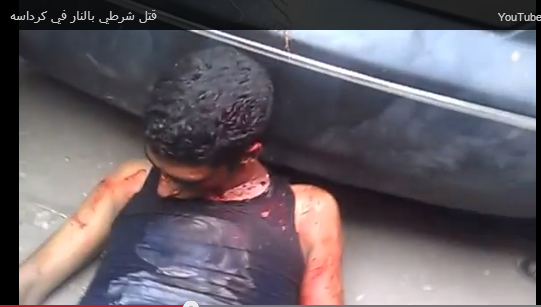 15th of August, Sohag City, two Christians got killed by Muslim Brotherhood, stopped them on the road and opened machine guns on them. Naglaa Albadry 25 years old and her husband Magdy Adly 29 years old, then the killers ran away, Eye witnesses said that the brotherhood killers were cutting their road and didn’t let any one passes till they checked their identities, when they found out that the couple were Christians, they just opened their machine guns and killed them. 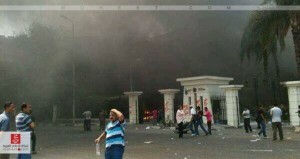 On the 14th of August 2013, Brotherhood Militias burned 21 police stations all over the country at the same time and killed more than 11 police soldiers and officers who were protecting the police stations and tried to stop Brotherhood from releasing Prisoners, in some police stations they managed to disperse the brotherhood thugs, in other police stations they were not able to to stop them because they were using RBJ missiles in attacking prisons and after killing more than 11 soldiers and officers, they tortured them even after they have killed them. Courts all over the countries got their share from burning and damaging by the Brotherhood thugs, all over the country. Video of Muslim Brotherhood attacking a civilian in Mohandessin Area The Arab League street – Cairo. 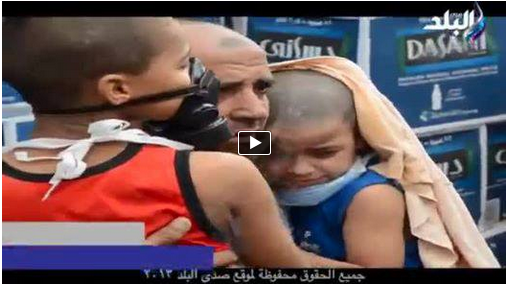 On the 13th of August 2013, Mostafa Ahmed Mohammed, a 10 years old boy was carrying the minister of defense picture, playing and chanting with his friends in the International Garden which is not far from Rabaa square in Nasr city. 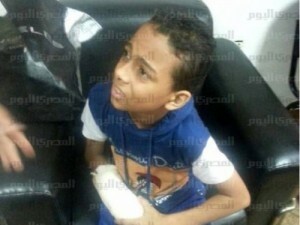 Brotherhood supporters attacked him and his friends and when the boy tried to run, one the brotherhood supporters shot him and injured him in his hands and in the boy ended up with all hand fingers cut. 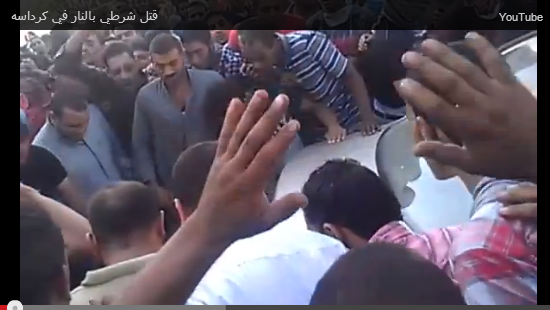 The following Video show Egyptian civilians in Ben Alsarayat Area in Cairo, hugging and saluting the police forces for protecting them from the Brotherhood Militia attacks of today the 14th of August 2013 and thanking them for their efforts in removing the armed demonstrations of Brotherhood. This Area last month, has lived the massacre committed of Brotherhood against their kids, many young boys and men from civilians got killed by Brotherhood snipers and many got injured. The following image and video showing Rabaa Mosque, Brotherhood Militias set a fire and burned it, Brotherhood wanted to tell the world that the military and the police are burning mosques, like they also said that it is the Christians who burned their churches and it is the military and the police who are killing their own soldiers and officers to accuse Brotherhood! 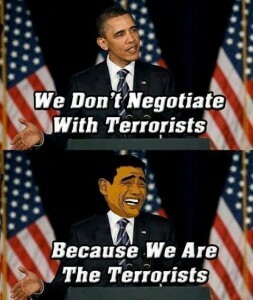 does it make any sense? 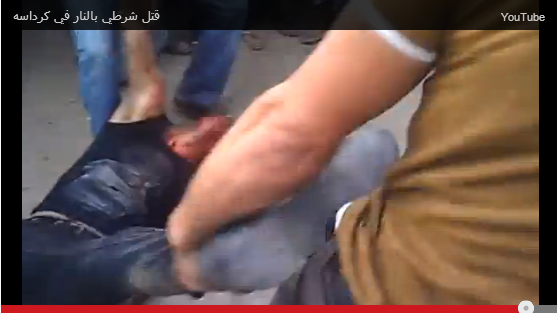 Nothing make sense with a Militia and thugs who have this unbelievable violence towards the entire Egyptian community! The Egyptian police and the Egyptian military sacrificed their own lives today so the entire country will be saved and the war on terror continues in Egypt…We are also in a war with the world who support terrorists in our Country, we are not going to invade your countries, but I assure you that we are not going to let the dirty bloody hands of your governments messing up with our country again. 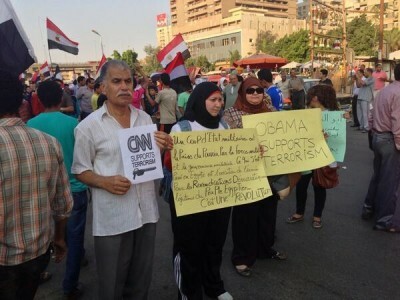 We don’t want any European or American Aid, the hell to any aid that your governments think it is a way to put pressure on Egypt and twisting our arm in fighting Brotherhood terrorism organisation that your governments are supporting. 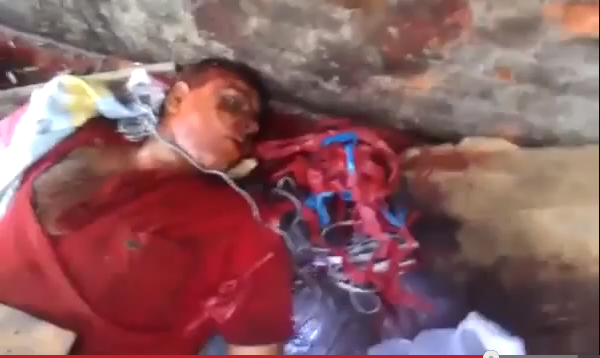 The European union and the United States condemned the violence of our security forces in dealing with armed militia terrorist organisation, even that the ones who got tortured and killed are more than 43 officers and soldiers got killed and more than 212 got injured on the 14th of August 2013. The European Union and the USA just remembered that Christians are being slaughtered daily and their churches are being burned daily, and did not condemn the crimes and the massacres committed by Brotherhood militias against Christians, but they remembered to condemn burning churches due to general violence. They never condemned the brotherhood violence, they are still hoping that the brotherhood will be able to kill the whole Egyptian population, so the West can go ahead with their Chaos Project in the middle East. Your governments have a very bloody black history in our region and they are succeeding in just one thing, spreading hatred in our hearts against your countries. 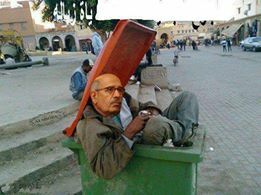 That’s where Mohammed Al-Baradai should be placed and he can take Obama with him too…To the TRASH BIN of History.